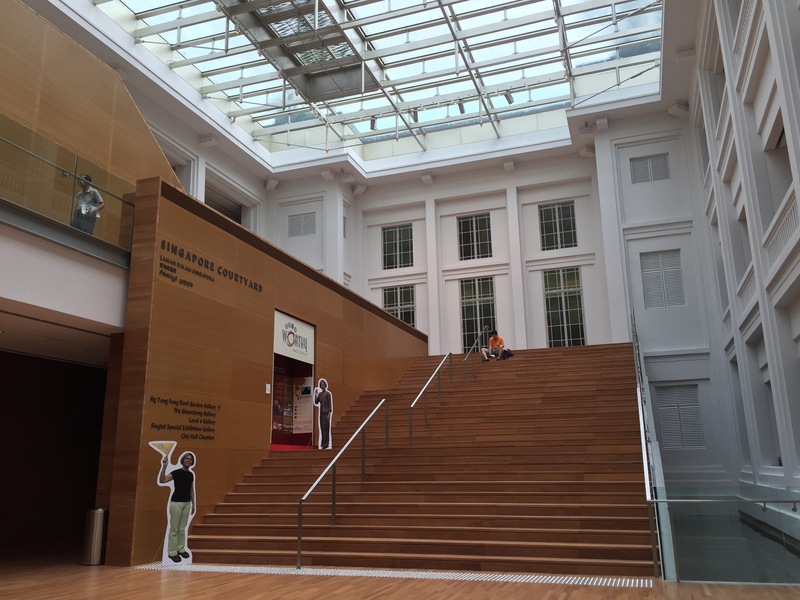 I was curious about what is inside National Gallery of Singapore what makes it great, in term of process and product of its piece. Yesterday, Scott, Miftah, and Tatyana had survey site to National Gallery of Singapore with me . 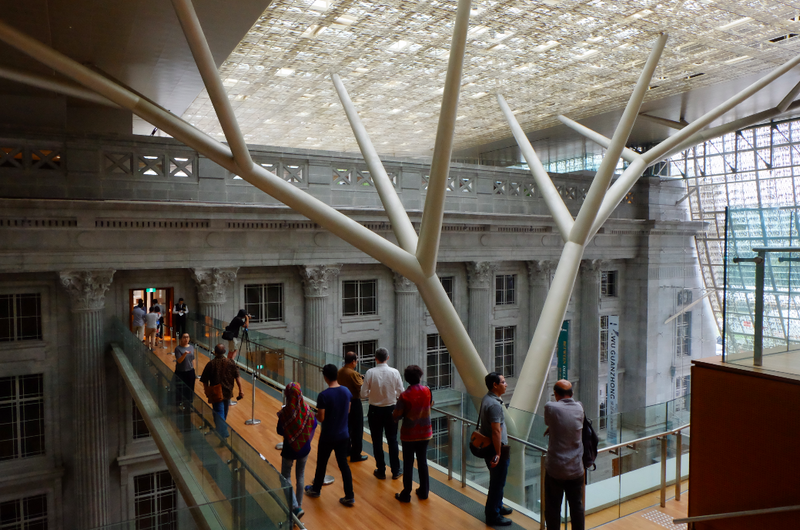 It was the opening day for the National Gallery of Singapore. It is the fruition of 8 years hard-work. I’m sure they are excited with the meeting. It just turned out, that the meeting was fabulous, more than it was expected. We are meeting with probably one of the smartest team in gallery design in the world. In meeting there were people who in charge with the building of National Gallery of Singapore, Director : Sushma Goh, advisor from Studio Milou who is Gallery expert : Guillaume Levy-Lambert, Senior Associate from Studio Milou : Wenmin Ho, the one from CPG (I will update his name after asking Scott), Curator : Lisa Horikawa, and few other people . We have our head of the gallery, pak Tubagus Andri, Arya Abieta, Bayu Genia, Afrina, and our currator Citra. 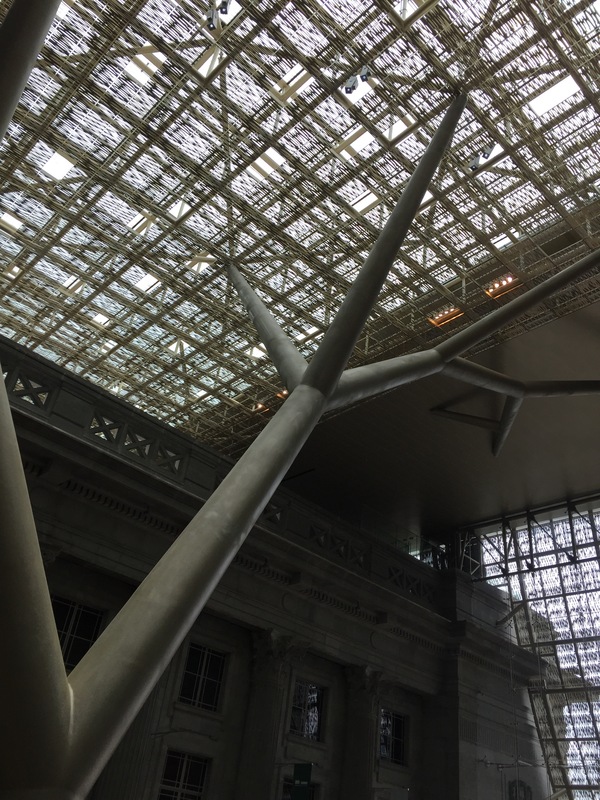 The scheme of the National Gallery of Singapore is intimately exercised from the initial process of forming the brief with the function brief consultant in almost a year to just think about the brief. The competition shortlisted 5 more finalist, and selected 3 more detailed scheme to be exercised. Studio muele in joint collaboration with CPG won the design. The design consists of 3 main design intentions. First, digging, excavating the land to open access to one to another building to extend the exhibition space at ground, 1st floor, 2nd floor. Second, creating open layout space at the roof top. Third, the create structure solution to strengthen roof, whole floors which needed to be taken all before rebuilding new floor plate. This whole process took out all of the floor plate except the city hall area, left the facade, and rebuilding it again. I was astonished by all of the effort, and the humongous data that the have gathered and exercised in this building. The process, I am sure the bitter part, need lot of effort and time, but the result is sweet, and that can be experienced by Singapore people. It’s pride of nation which can be leveraged to louvre and British Museum. Now, looking on by what we have in National Gallery of Indonesia. We won the prize 2 years ago. We have so much things to do, to prepare which is convincing people, and having right attitude, and confidence in one of the most difficult part which we need extra effort to push, to check list, sometimes we do it in our free time, little expenditures. Comparing to 500 million of Singapore dollar that they spent on this museum project, our project is 1/10 of their budget, but I think even tough budget is important, It’s not everything. The data of the National Gallery of Singapore has collected is worth much to value of the bit. 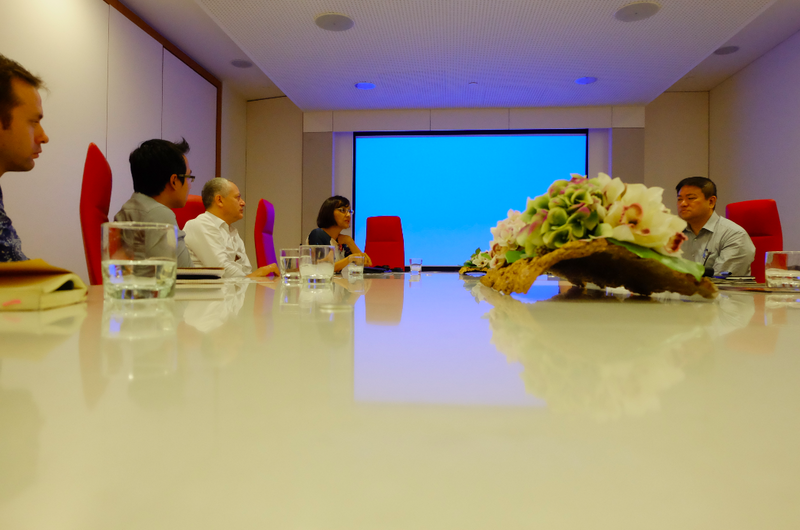 It’s a critical process for evaluating the National Gallery of Singapore process, and looking for what we have, the expenditures, the environment, the process, the realisation, the technology might be different. The nature is different, that is why the design which need to solve this bit of process need to be very responsive in all of the stages. 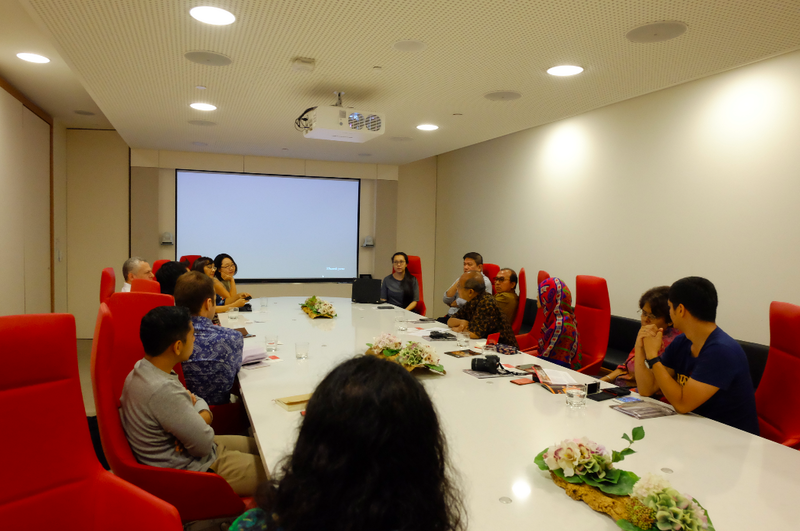 We really need to form a integrated team, to shape our own Indonesia’s national gallery. This humongous process of the iterations converges again in this trip. What I love is the way that Sushma explained the brief, and the realisation of the project somehow recalled what I saw in Scarpa’s work. It’s intimately telling story about how things made, and the detail, the gab between joint, was exercised. The way that they protected, preserved the old artefacts, previous settings in city hall, the library, the wood finishes, the sloping of the ram, the detail, lamp fitting, the air conditioning ducting, the design of the grill, the skylight which open beautiful light to the sky was appreciated deeply by me. in the evening We chilled out at Marina Barrage after the meeting. the leverage is much higher now. today Rofi is having birthday, we are going to celebrate it in the studio.